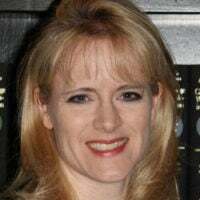 Tara Ross is a retired lawyer and author of several books, including "The Indispensable Electoral College: How the Founders' Plan Saves Our Country from Mob Rule," and "We Elect a President: The Story of Our Electoral College." If at first you don’t succeed, try, try again—or just hide your idea in a giant piece of legislation, where you hope it won’t get noticed. The National Popular Vote campaign hopes that Minnesota voters won’t see its sneaky maneuver until it’s too late. Perhaps National Popular Vote supporters feel desperate. They’ve been trying to get their controversial interstate compact approved in Minnesota since 2009, but the legislation always flounders. This year, National Popular Vote is trying something new in Minnesota. Its compact has been introduced as standalone legislation, just as it normally is. Meanwhile, the compact also has been hidden in an omnibus elections bill. National Popular Vote’s website faithfully reports the status of the standalone legislation, but makes no mention of the omnibus bill. Unsurprisingly, the former seems stalled. Meanwhile, the omnibus bill is making steady progress. National Popular Vote has spent years avoiding news headlines, even as it proposes an interstate compact that would radically change the presidential election system. States participating in the effort agree to give their presidential electors to the winner of the national popular vote, even when that outcome runs contrary to the state’s popular vote. To date, 12 states plus the District of Columbia have signed on to the group’s proposed compact. Delaware’s governor will sign National Popular Vote’s bill on Thursday. New Mexico’s governor could sign similar legislation at any time. Taken together, these states contribute 189 electors to National Popular Vote’s cause. So far, only blue states have approved the measure. The compact needs only 81 more electors (270 total) to go into effect. Implementation would mean that the Electoral College would be effectively eliminated, without the bother of a constitutional amendment. A constitutional challenge would follow, of course, and the Supreme Court would have the final say. The Founders must be rolling over in their graves. The Founders did not want constitutional institutions to be easy to change. Instead, they sought balance. A constitution that is too hard to change can be problematic, but a constitution that can be easily altered creates instability. Thus, the Founders’ constitutional amendment process allows adjustments to American institutions, but only after widespread debate, thorough discussion, and overwhelming agreement. National Popular Vote doesn’t care about any of this. It wants change, and it will plow through any roadblocks—constitutional or otherwise—to get to its desired outcome. Consider that the Article V constitutional amendment process requires the approval of three-quarters of the states (38) and two-thirds votes of both houses of Congress. By contrast, National Popular Vote’s compact had the potential to go into effect with as few as 11 states, if big states such as Texas and Florida were willing to support the plan. Yet even without their help, National Popular Vote could be on track to success with the approval of about 21 states. So much for widespread discussion, debate, and consensus. The basics of National Popular Vote’s scheme were bad enough: Radical change to the constitutional structure should not be made at the behest of a minority of states. 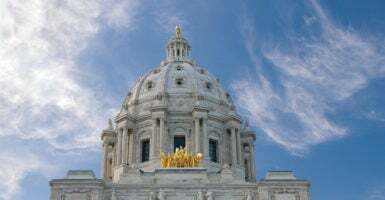 But the group’s latest attempt, to sneak a Trojan horse through the Minnesota Legislature, takes the audacity of its plan to a whole new level. A Minnesota House committee is holding a hearing on its omnibus elections bill this Thursday. But for some reason, it has excluded the National Popular Vote’s compact from the hearing. Testimony about the Electoral College and the radical change proposed to the presidential election system won’t be allowed. Minnesota voters should let their legislators know exactly what they think of that. National Popular Vote is dangerous for their state—and dangerous for America. The Trojan horse should be turned away at the gate.